HomeWhich Accommodation To Choose?Why should I stay in a budget hotel? Why should I stay in a budget hotel? In Europe, it is a surprise to many what you can get at low-star rated hotel. Due to the five-star rating, many shy away from budget hotels because they fear it will be a dingy, smelly room where things go to die. On the contrary, these types of hotels are usually traditional and full of character. Though they may not possess luxury amenities, these rooms do provide all the essentials. If you are looking for a more classic European experience, budget hotels will provide that funky quality that modern, upscale hotels just won’t have. What is a budget hotel? A budget hotel is an inexpensive type of accommodation that covers the essentials. These rooms typically come furnished with a bed, a free standing closet or bureau, a night stand, and perhaps a small television and chair. They also provide simple bathrooms attached with a toilet and shower. What is the average rate to stay in a budget hotel? In general, you’ll will not spend more than € 100 a night. Of course prices can vary much between countries. Accommodations in the west and north of Europe will cost you more than the east en south of Europe. What can I expect from a budget hotel? Limited Space. Some accommodations come tightly packed in as small as a 25 square meter space! Bathrooms. Although many rooms provide small bathrooms or sinks in the bedroom, some have a dorm-style set-up where the toilet and shower are shared amongst the floor. Furnishing. Expect more traditional European features in these types of rooms. Modern elements always come with a price tag. Minimal customer service. In places such as Formula 1 type of hotel, all transactions are automated. Instead of being greeted by a receptionist or concierge, you check-in at a kiosk and receive a code to your room. Locations. 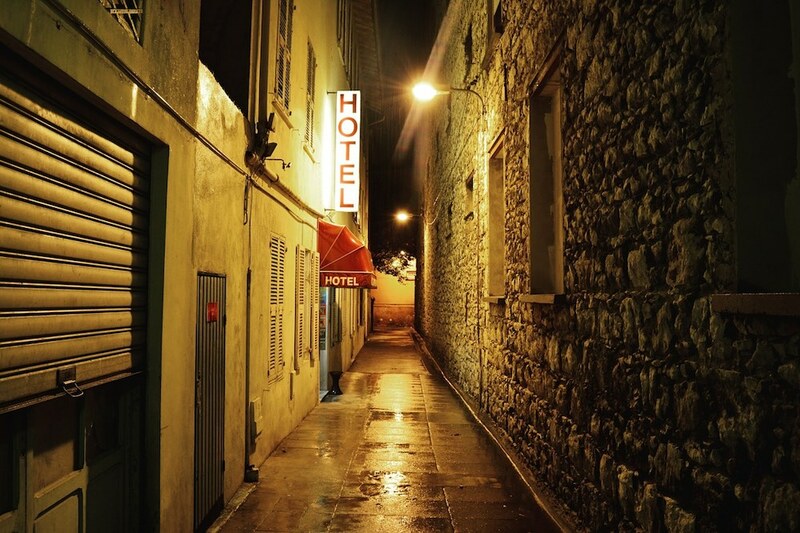 Don’t expect too much… Budget hotels can’t offer low prices at top A-locations in the center. Expect to be on the edge of the city center and further away. Budget hotels are a smart choice for travelers, who are looking to get the best of both worlds. Affordable prices without sacrificing privacy and personal space. For those who plan to spend most of their time out of the hotel room, budget hotels merely provide a place to lay your head on at night, which for the adventurist, is all you really need. Since prices of budget hotels sometimes are competitive with a holiday let and some hostels offer private double rooms, budget hotels are not chosen often by backpackers.